The Boy Scouts of America developed the Nova Awards program to excite and expand a sense of wonder in our Scouts. By working with an adult counselor or mentor, the various modules allow them to explore the basic principles of STEM and discover how fun and fascinating STEM can be. The Supernova awards are offered for those who enjoy a super challenge. Discover how the Nova Awards program helps youth be "Prepared. For Life." There are four Nova awards for Cub Scouts, Webelos Scouts, Boy Scouts, and Venturers. Each award covers one component of STEM—science, technology, engineering, or mathematics. Cub Scout Nova Awards: Science Everywhere, Tech Talk, Swing!, and 1-2-3 Go! For their first Nova award, Scouts earn the distinctive Nova award patch. After that, a Scout can earn three more Nova awards, each one recognized with a separate pin-on device that attaches to the patch. 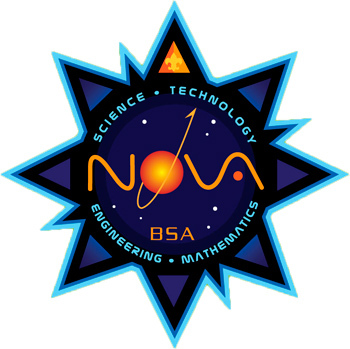 The patch and the three devices represent each of the four STEM topics—science, technology, engineering, and mathematics. All requirements may be found in the Nova awards guidebooks, available through local Scout shops—one for Cub Scouts, one for Boy Scouts, and one for Venturers. The requirements can be completed with a parent or an adult leader as the counselor (for the Nova awards) or mentor (for the Supernova awards). Each guidebook includes a section for the counselor and mentor. 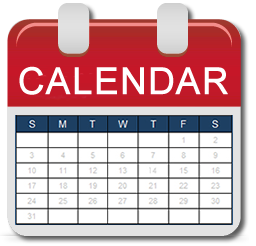 A Nova counselor can be any registered adult age 21 or older. Supernova mentors must be 21 or older and be subject matter experts in a STEM (science, technology, engineering, mathematics) field and be registered under the new Supernova Mentor position. In addition to the BSA Adult Registration form, counselors and mentors must complete the Samoset Council STEM application. All Nova counselors and Supernova mentors must have current BSA Youth Protection training and certification appropriate for the programs being administered (Cub and Boy Scout Y01, Venturing Y02).